One of the beauties of Key West is that the island is a haven for live music night and day. 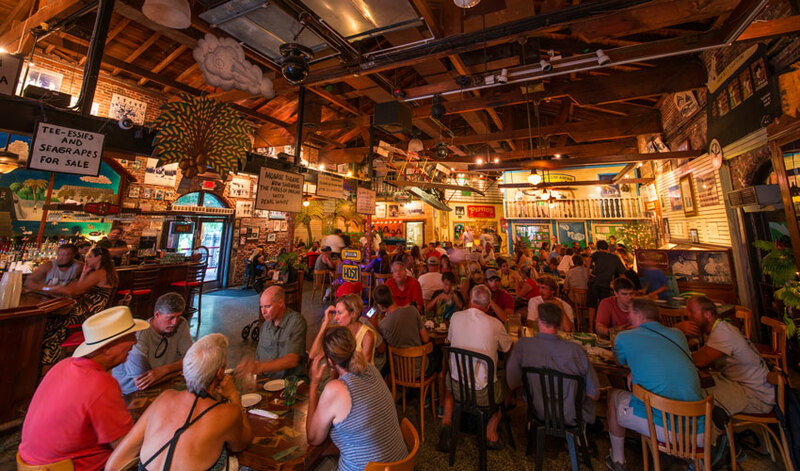 From a Duval crawl in the middle of the afternoon to slipping into the Green Parrot for a light night jam session, the island offers endless entertainment. Read on for the best spots in Key West for live music. Located directly in Mallory Square, the family-owned El Meson de Pepe is the island’s top destination for authentic Cuban food. Order a heaping plate of ropa vieja with stewed platanos maduros, yellow rice and black beans along with a mojito and you’ll be in heaven. At sunset, El Meson de Pepe gets into the Sunset Celebration action in Mallory Square with the only local salsa band on the island. Come samba at sunset to the rhythm of the music and enjoy one of the most beautiful views on the island. The Green Parrot is easily Key West’s most beloved bar. Located one block from Duval Street on Whitehead Street, it’s an open air dive bar with a solid live music program. Saturday nights, crowds spill onto the sidewalk for visiting acts like Suenalo or Spam Allstars. Inside, you’ll find a large, central floating bar, as well as a back bar, pool tables, darts and freshly popped popcorn. When the live musicians take a break, it’s also home to the best jukebox on the island. 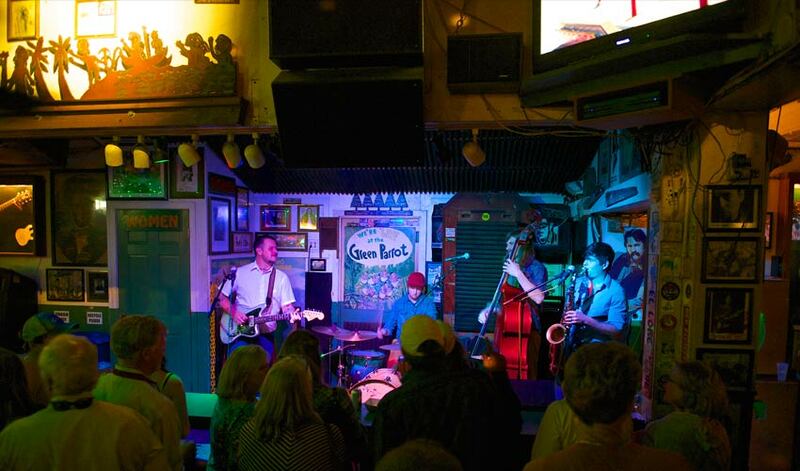 Tucked away on a side alley off Duval Street, Smokin’ Tuna has become one of the premier venues on the island for live music. The large outdoor space has multiple bars and a large stage for acts that range from country to rock to folk and blues. They’re also an official sponsor of the Key West Songwriters Festival in May, presenting a stellar lineup during the weeklong event. Located at the foot of Ocean Key Resort, Sunset Pier is a colorful tiki bar directly on the water overlooking the Key West Harbor. Perfect for a frozen cocktail at sunset, they’ve also got a great live music lineup to add to the atmosphere. Grab a pastel-painted stool at the bar or a seat along the pier for excellent sunset views. In addition to cocktails, they’ve also got a great bar menu with items like lobster rolls, fish tacos and conch fritters. 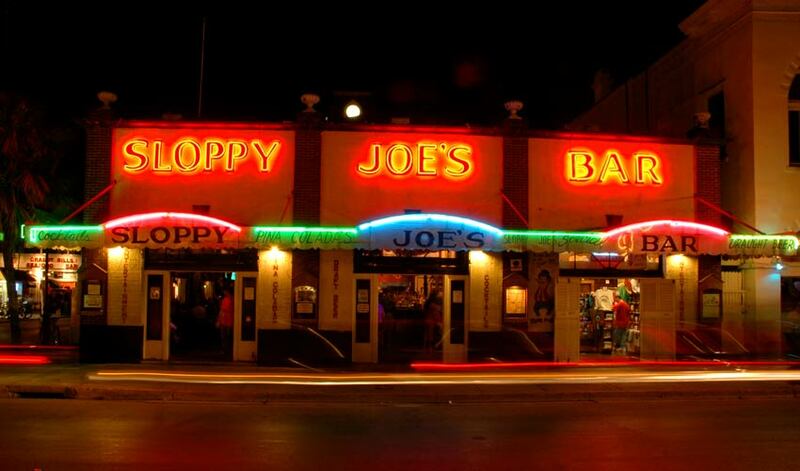 Sloppy Joe’s is a classic destination at the foot of Duval Street with a large stage for big acts. It always draws a crowd that gets rowdier as the night goes on. Everything from classic rock to country can be expected at Sloppy’s. There’s a massive bar in the back and an even larger dance floor by the stage, so enjoy the party. Irish Kevin’s is one of the most raucous bars on Duval Street with a roster of in-house musicians and entertainers who have the secret formula for keeping the energy pumping. Come night or day for a wild party that you’ll definitely be giggling about in the morning. With a full bar set against one wall, the musicians perform on the other side and a large dance floor is in the back. Part of Key West’s largest entertainment complex, Durty Harry’s is an open air venue for live rock music every night. It’s surrounded by seven other bars and venues, so you’ll never run out of places to explore. The complex is best known for Rick’s, an upstairs dance club with a live DJ. You can also chill out at the outdoor Tree Bar overlooking Duval Street.